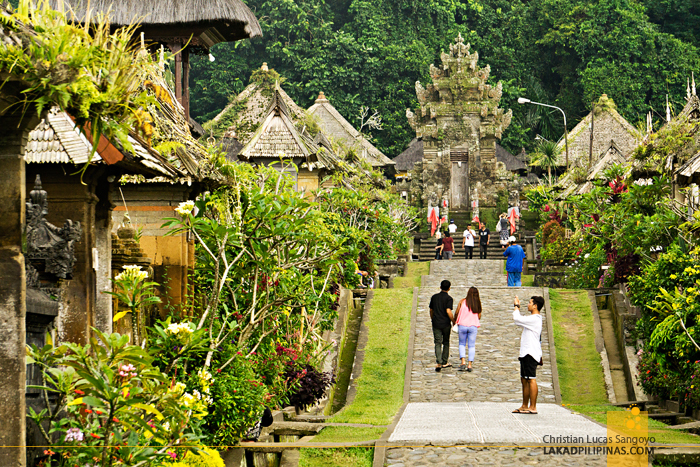 Mention Bali and the first things that come to mind are its white sand beaches and the hundreds of ornate temples that dot its landscape. But there’s more to Bali than these, and no, it’s not babi guling—although that porky delight is indeed another aspect of the island worth considering. 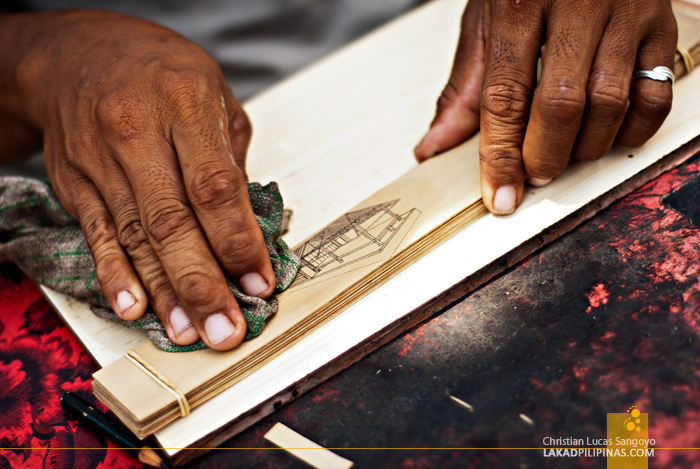 It’s the traditional Balinese villages that still celebrate the way life was on the island before hordes of tourists started invading this paradise. 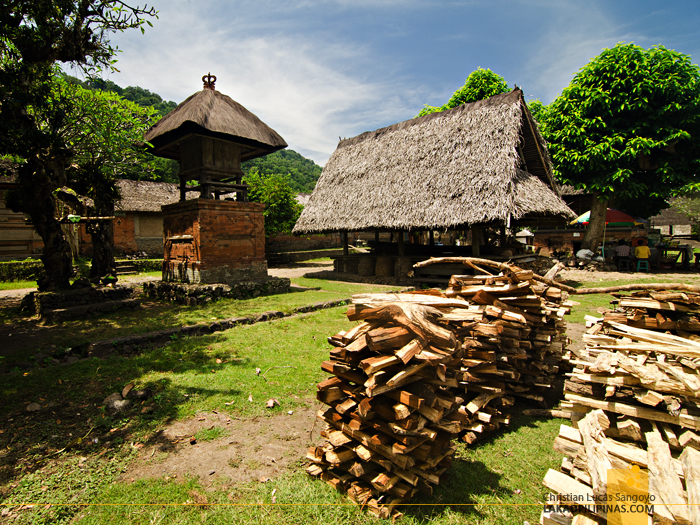 During the course of my visits to Bali, I’ve visited only two of these so-called Bali traditional villages. 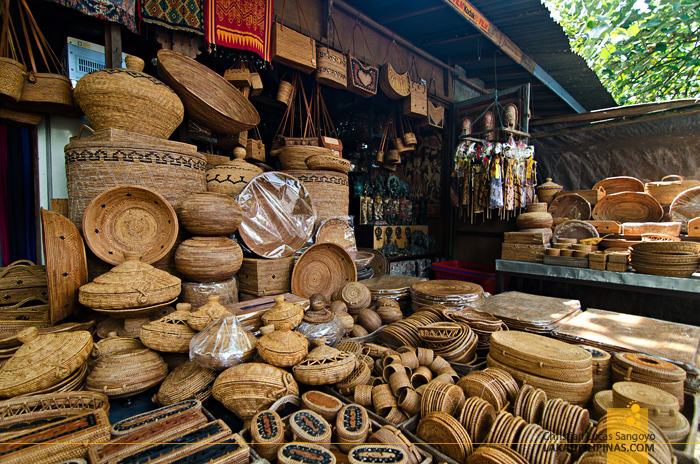 There are more, like the Trunyan Village which has the custom of leaving their deceased above ground, a cloth and bamboo canopy its only cover, to the more famous jewelry-making village of Celuk and the culturally rich and more touristy Batubulan Village in Gianyar. 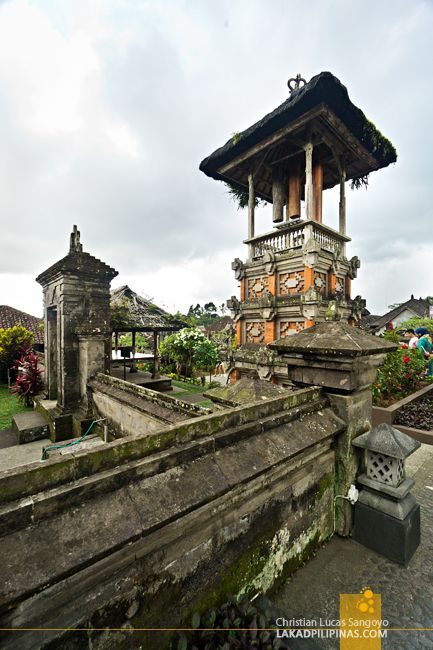 These villages can be visited en route to your Bali temple tours or beach-hopping adventures—a palate-cleanser of sort in between huge doses of the sea, sand, and stone sculptures. 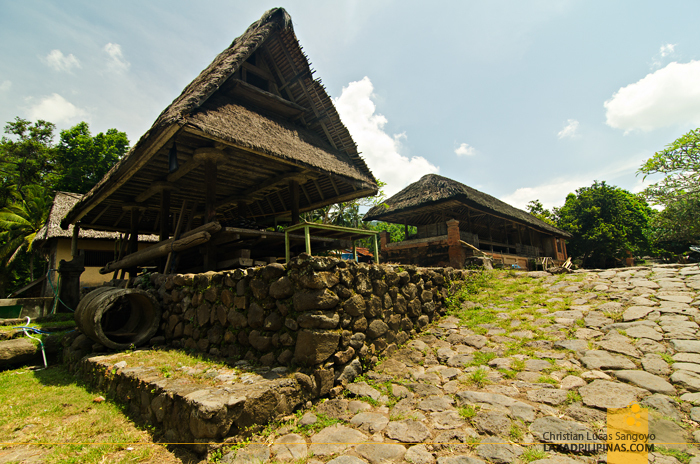 It was by complete chance that we visited the Tenganan Village in Karangasem Regency. We were supposed to go diving along the coast of Candidasa, but I wasn’t allowed to due to an ear infection. M, who was with me and C, wasn’t too keen on diving, so we then decided to simply go biking around the area around Rama Candidasa, the sister resort of Rama Beach Resort in Kuta where we were currently staying then. Unfortunately, the bikes they have was too high for us—we weren’t really experts when it comes to two-wheeled transports—so, scrapped that, we did. Our host fortunately suggested visiting a traditional village instead. That, we can absolutely do. 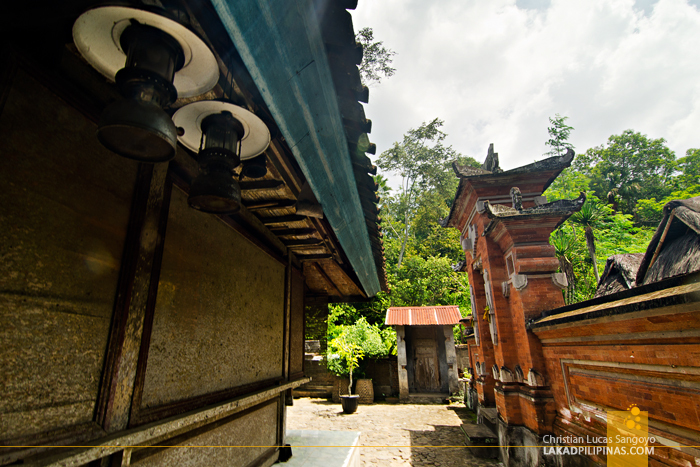 Tenganan Pegringsingan, home to the Bali Agas—the original inhabitants of the island—was once the most secluded of the villages in Bali. 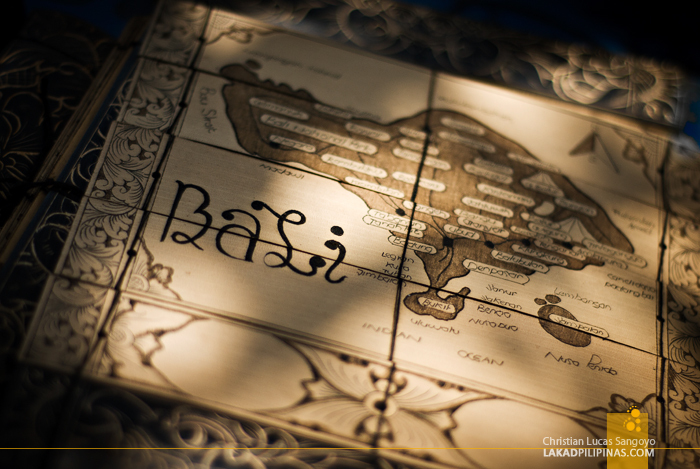 It slowly welcomed tourism during the seventies, a balance of opening up to the world while preserving its unique heritage. 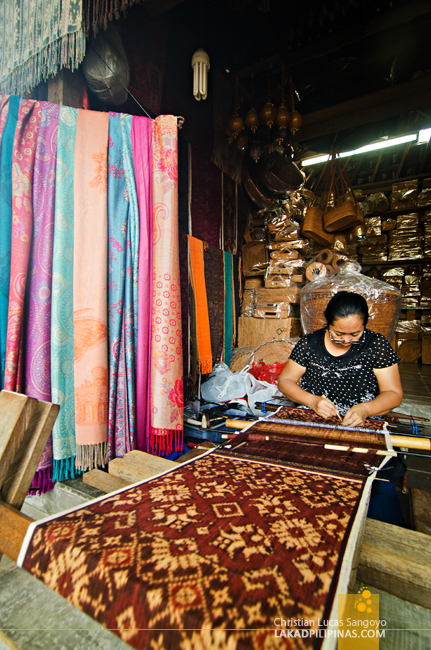 The village is renowned for its gamelan selunding music, an ensemble of iron gongs which they considered as sacred, and geringsing, a textile made utilizing the double ikat dyeing method where the warp and weft are resist-dyed prior to weaving—an expensive and challenging technique. Walking around, I noticed the houses are built on a roughly paved central road, with narrow angkul-angkul or gates as entrance to an inner court where they build their actual homes. 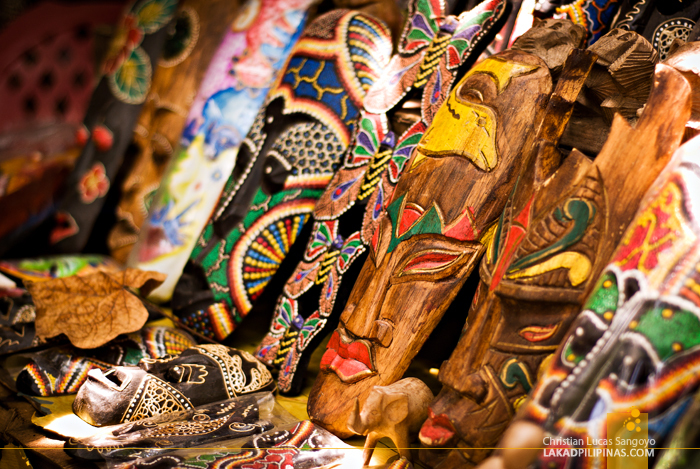 The outer walls of the houses are filled with colorful, and somewhat frightening masks, marked for sale to tourists. 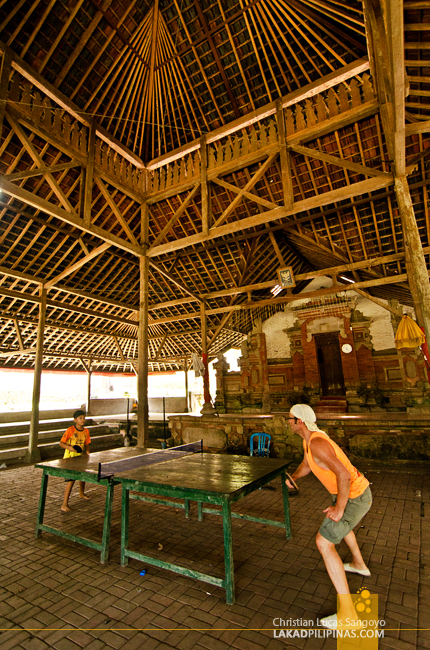 As we went along, we passed numerous open halls where villagers have their meetings and ceremonies, and during our visit a heated ping pong match between a local kid and a Caucasian visitor. 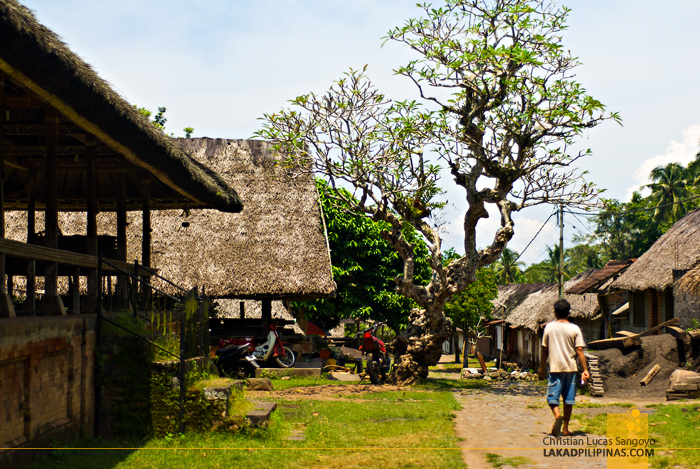 It was three years later when I visited my second traditional village in Bali. This time, C and I were traveling with our moms and they wanted to see a local cactus expert—they’re obsessed with those spiny little things—in the Bangli Regency east of Bali. En route, we passed by the Penglipuran Village, and our driver Putu from Bali Golden Tour, insisted that we go down and visit it. And we were glad that he did. Situated seven hundred meters above sea level at the foot of Mount Batur, the weather here was supposedly colder than Kuta or Ubud—it was sort of like our very own Tagaytay or Baguio. Supposedly. It was still swelteringly hot. The first thing that struck me was the village layout, it looked like a very well-planned and immaculately tended park. 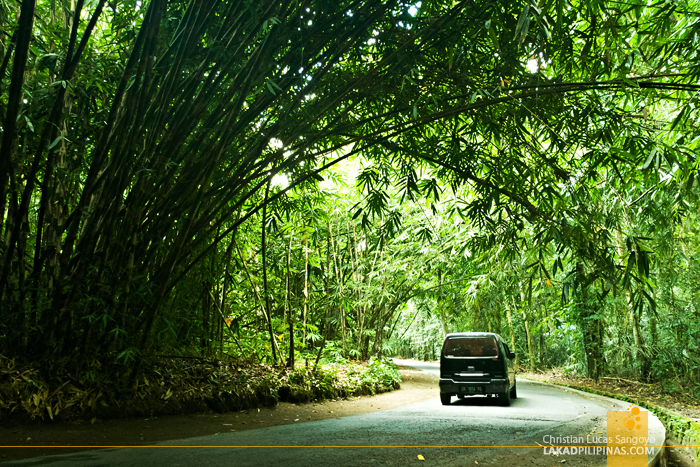 A wide avenue paved using mountain rocks acts as the main artery of the town. 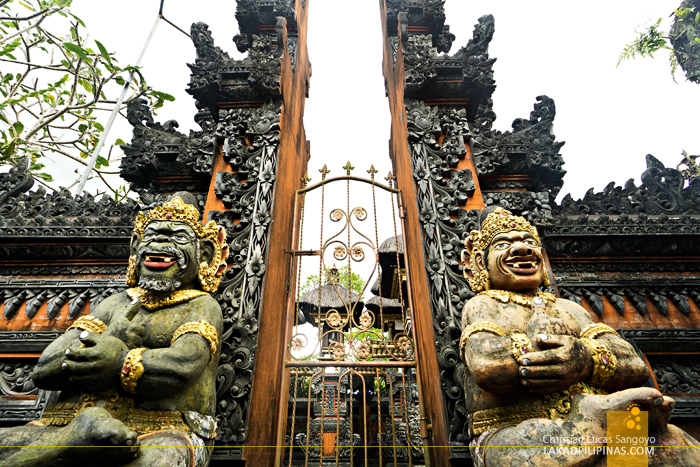 On both sides, ornate angkul-angkul gates lead to homes. 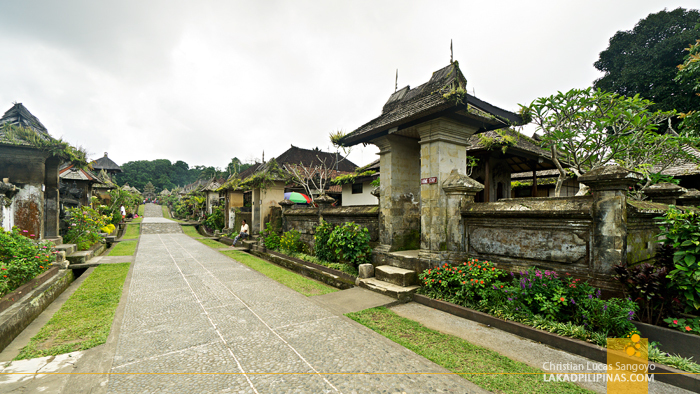 The road terminates on a cemetery on the south, and a temple on the north—a classical Balinese village layout. 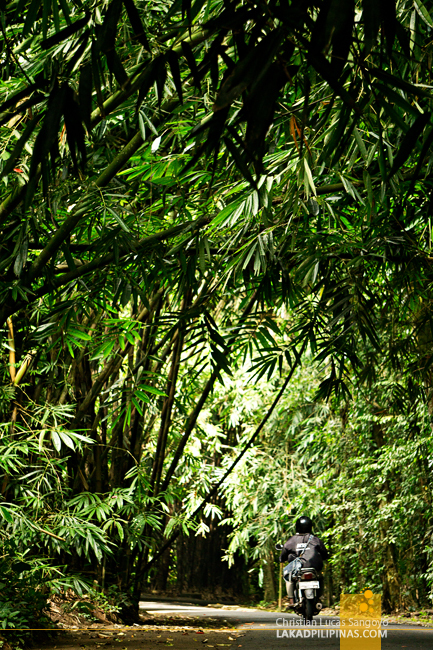 While our moms started knocking on doors to buy fruits and asking locals if they can cut off a few branches of a ginormous cactus they saw growing along a garden, C and I explored the bamboo forest beyond the temple. This, apparently is a popular area for mountain bikers and hikers, besides the usual Instagramers posing in the middle of the road for a selfie. By the time we were finished walking around the village, which didn’t take an hour, our moms were already heaving bagfuls of fruits and freshly cut cactuses.